John Kerry (clip): We stand by the government of Turkey. As of this moment, Turkey's cooperation with us in our counterterrorism efforts, in our NATO obligations, and in our regional efforts with respect to Syria and ISIS have not been affected negatively; all of that has continued, as before. Ezra Levant: That was U.S. Secretary of State John Kerry in Luxembourg commenting on the attempted coup in Turkey, but was what he said true? Is Turkey really a loyal NATO ally? They shut down ingress and egress to that NATO military base in Incirlik and they shut the power off. Are they really an ally against the Islamic State, or do they actually support it against their enemies, including the Kurds, and do business with the Islamic State? And can they possibly be part of the Western family of nations when they move towards Islamism and away from freedom? Joining us now via Skype is our friend Daniel Pipes, the president of the Middle East Forum, who wrote a very provocative column saying he was rooting for the coup, and he joins us now. Daniel - good to see you - what do you make of John Kerry talking about President Erdoğan as if he is a great ally of the United States, a man who Barack Obama said is one of his most trusted counterparts around the world? Daniel Pipes: Well, he said that a few years ago and hasn't repeated it lately. As we all know, diplomats are paid to lie for their country, and that's what John Kerry is doing for the United States, and doing it quite well, I might add. Of course, as you point out, what he's saying is not true. Incirlik base in Turkey was effectively shut down, there was no power, they couldn't go in and out, they couldn't fly sorties. Tensions between the two governments, U.S. and Turkish, are rife, as the Turkish government and its president have said that unless the U.S. government turns over a Turkish cleric by the name of Fethullah Gülen, relations will go down the tubes. So, things are not at all good, despite John Kerry's valiant effort. 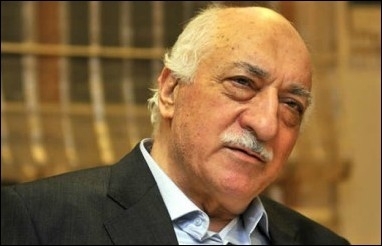 EL: You mention Gülen, and he is a Turkish cleric who was once friends, or allies, with Erdoğan, but now he lives in Pennsylvania, of all places, and he is the great enemy that Erdoğan blames for the coup. Although, at least in public, Gülen said he opposed the coup, as did all the opposition parties. There's a theory circulating on the internet, and I don't want to give credence to conspiracy theories because there's so many of them, especially in the Middle East, that this coup was actually staged by Erdoğan himself as an excuse to purge thousands of his enemies from the courts, from the media, from the army, from the political arena. I mean, he shut down more than 20 news websites. I'm not sure if I believe that conspiracy theory, but he's certainly taking well advantage of the coup to conduct a Stalinist purge; would you say that's an exaggeration? DP: There are certainly many suspicious elements; for example, the list of thousands of individuals who were ripe for the taking as soon as the coup effort ended. Almost 3,000 judges and prosecutors were fired immediately. F-16 war-planes had Erdoğan locked in on and didn't do anything. There are a lot of suspicious elements. "Erdoğan is doing everything he possibly can to exploit [the coup attempt] and further increase his power." However, like you, I am inclined not to think this was staged but that it's real, mostly because it's just too big to fake. The classic staged provocation was the Reichstag fire in Berlin in 1933 by Hitler. But a fire in one building is pretty easy to pull off; a massive coup effort like this across the country is too difficult. That said, Erdoğan is doing everything he possibly can to exploit it and further increase his power. EL: Now, I want to talk about a couple of internal matters. The Kurds want to have an independent Kurdistan that would incorporate part of Northern Iraq, but there's large Kurdish areas in Turkey, and Erdoğan has released a military-style attack on Kurds within the Turkish borders. Here's some cell phone video, purportedly taken by Kurds in Turkey. This looks like it could be bombed-out Raqqa, or something. But these are Kurds, holding a white flag, basically saying, "We surrender, don't shoot." And then there are Turkish tanks shooting at them. You can see they're running with the white flag. So Erdoğan has internal enemies that he wants to purge. Let me show you one more video, Daniel, before I ask you to comment. This next video is from when Turkey shot down a Russian fighter jet last year, and here is footage by Turkish-linked Islamic groups in Syria rejoicing over what they claim is the dead body of the Russian fighter pilot. So Kurds within, Russians without ... he's got plenty of enemies. Erdoğan was in a bunker mentality to begin with, but now he's acting out the part. Can this man stay president for long? Will there be another coup? Will he be assassinated? Or will he go on to worse things? DP: It's been my thesis for some time that Erdoğan is so successful domestically in Turkey, through his belligerence and his aggressiveness, that he thinks he's got a method that works everywhere at all times and so he's deploying the same bellicosity in international affairs. However, that's not working out so well. As you pointed out, he's got Kurdish enemies, he's got Russian enemies. We can go beyond that to Syrians, Israelis, Chinese. But he's pulled back a bit and re-established relations with Israel and with Russia on the same day, aware that he's gone too far. But his impulse is so aggressive, I think it's likely that his rule will end because he takes a misstep that is too strong, too aggressive internationally. EL: I wonder who will push back. I mean, Vladimir Putin certainly tightened the screws on Turkey after that jet was shot down. I don't see pressure like that coming from the Obama-Kerry side, I just don't see them pressuring any country in the world, maybe it would come from Putin. I tell you, we're not done hearing this incredible story. Last question to you Daniel, before we let you go, and thank you for so much of your time. I've been riveted by the strange relationship between Turkey and Germany. Not only has Turkey flooded Germany with millions of Syrian migrants, that Erdoğan basically turns the tap on and off at will, but Erdoğan has bullied German politician: arrested or threatened to arrest Germans in Turkey, has pressed Angela Merkel to prosecute a comedian in Germany who was making fun of Erdoğan. Germany is really dancing to Erdoğan's tune. Do you see that German submission to Turkey changing in the wake of this attempted coup? DP: I agree with everything you said, except it's Merkel's submission more than Germany's. There's a lot of anger in Germany over what Merkel has done. And the symbol of it was, a couple of months ago, the German parliament, the Bundestag, passed a resolution calling the persecution of Armenians a century ago genocide. This is an extremely sensitive issue for the Turkish government and it was meant precisely to squirrel relations between Merkel and Erdoğan. So there's building resentment even in her own party against this submissive approach by Merkel towards Erdoğan and one can see it more broadly in the public, there's anger. There's a lot. And Merkel is paying a heavy price. EL: Well, we'll see just how heavy that price gets. There are moves afoot for referenda, the Alternative für Deutschland party is growing, we'll see how it does. Daniel Pipes, great to see you, thanks for spending time with us. And by the way folks, if you want to hang out Daniel, and me, and Raheel Raza, and Faith Goldy, and Sheila Gunn Reid, and Paige MacPherson, you gotta come on our Rebel Cruise. It's like a one-week convention on a boat. If you want more details go to therebelcruise.ca. Daniel, it'll be great to see you there, thanks for taking a week with us. You'll be a fan favorite there, I know. DP: I love the idea of a rebel cruise. EL: A rebel cruise, we just might invade Cuba, if we get particularly rambunctious. Thanks, Daniel, we'll talk to you again soon.